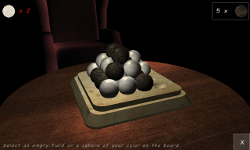 Sphyro is an abstract 3D strategy game for mobile phones. 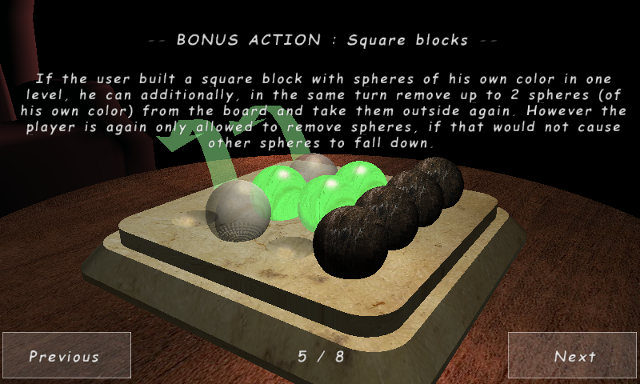 Two players built up a pyramid by placing spheres on a game board. 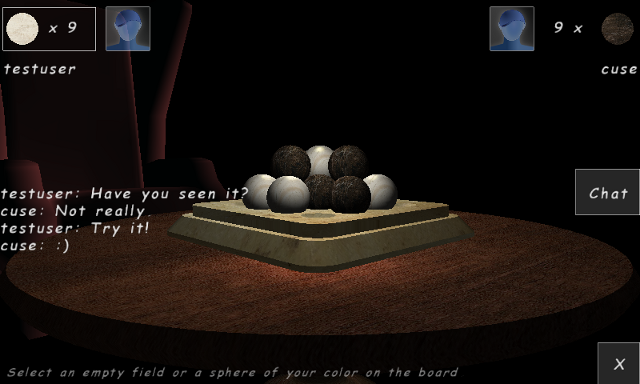 The player who is able to place the last sphere on the peak of the pyramid wins the game. Some very few rules make this goal tricky and challenging to achieve. In this game 3D is not just eye candy, it is essential foundation of the game principle! 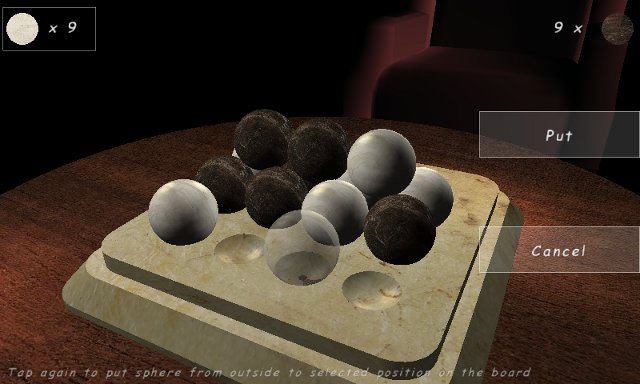 Tip and slide on the screen to rotate the view in all three dimensional angles. If your device provides a multi touch screen, use two fingers to zoom in and out. 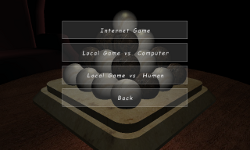 Play locally against friends, against the computer or against people all over the Internet. Compete with the world and improve your world ranking position. Do you make it into the top ten? 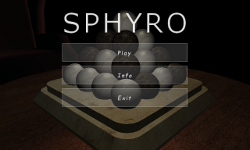 Note: Sphyro 3D has been discontinued. Sphyro is currently available for the following mobile phones and tablet devices. In case you encounter any problems while playing this game, please report it to us by using the feedback link at the end of this page. You can get Sphyro through iTunes from the Apple App Store. 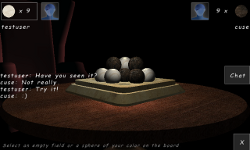 Sphyro supports full graphics resolution of the iPad 3 and iPhone 4 / 4S Retina displays. Note that you need at least iOS 3.1 or later to be able to use this app. For Nokia devices which run the Symbian operating system, you can get Sphyro from the Nokia OVI store. Latest Symbian 3 devices like the N8 are also supported. 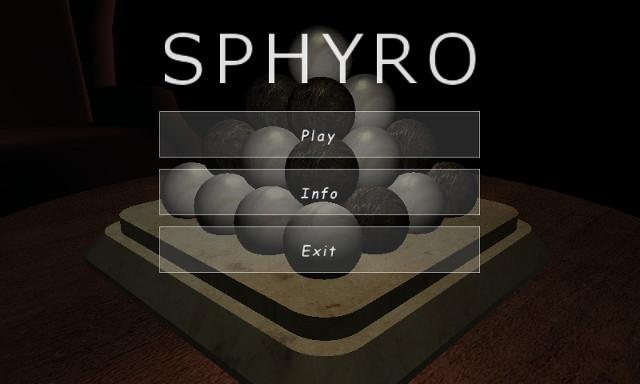 Note that Sphyro is only available for devices with touch screen at the moment. Sphyro is distributed on OVI store by our partner Bitimpress. Sphyro is also available for Nokia devices which run the Maemo operating system (like the N900). You can download it from the Nokia OVI store. For mobile phones and tablet devices (like the Samsung Galaxy S and the Samsung Galaxy Tab) which run the Android operating system, you can get Sphyro from the Android Market. Note that Sphyro is only available for Android devices with touch screen so far. 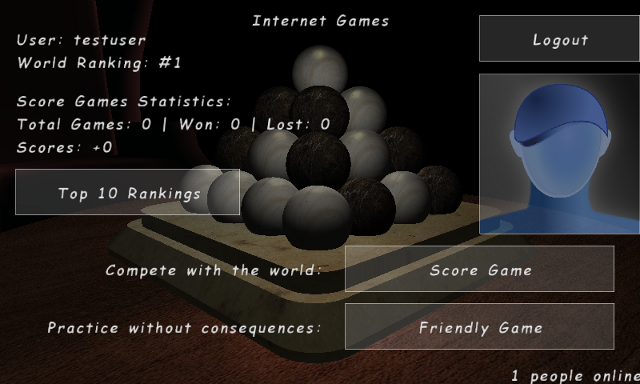 Primary criteria for the world ranking is the difference between won and lost games. In case some users have the same difference of won and lost games, then the second criteria of total achieved points is taken into account. Users collect points by the difference of spheres with which they win (or lose) a game. So by winning a game, a user usually earns positive points. 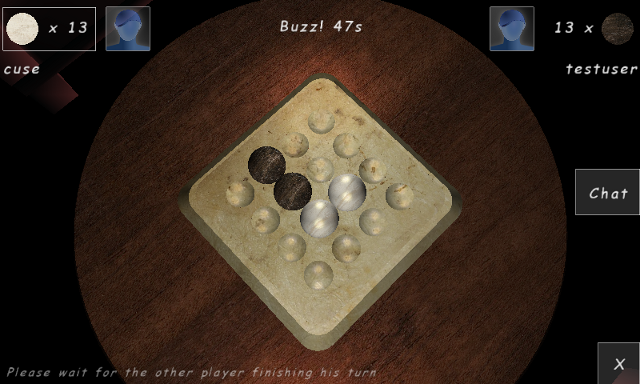 By losing a game, the user usually receives negative points. 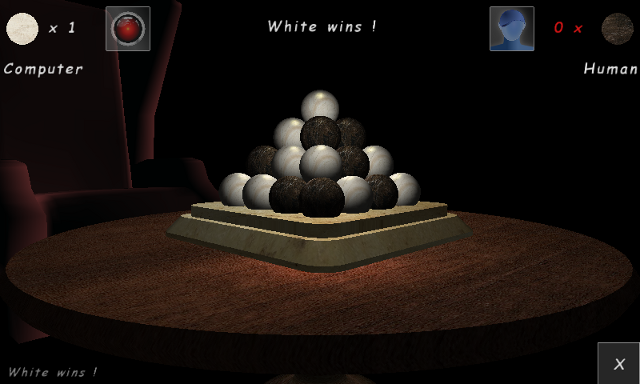 However, note that the points are calculated by taking the disadvantage of the white player into account. 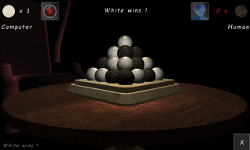 That is, if the black player wins a game by just one sphere ahead for example, both players got 0 points! Copyright © MMXIX Crudebyte. Alle Rechte vorbehalten.